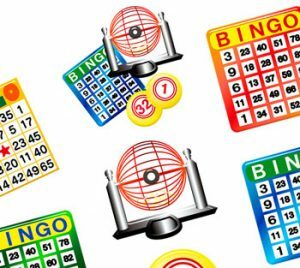 With its long history and everlasting presence in casinos worldwide, Bingo is a game worthy of some in-depth research. That’s why I decided to explain how and why you should dedicate some time to this game. The game of Bingo is a lot older than you might think. Contrary to popular belief, it didn’t start as a game for retired people. It first emerged in the year 1530, in Italy; its original name was Lo Giuoco Del Lotto D’Italia. You could say it was the ancestor of the modern lottery games of the contemporary era. After that, it moved to France, sometime in the 1770s, and the French called it Le Lotto. Being its closest neighbour, Germany also adopted the game in the 1800s, but it wasn’t used as a type of a lottery game per se. The Germans mostly used it to educate their kids — They transformed it into a children’s game, to help their pupils learn many different subjects, such as Maths, History, and Spelling. And once the game finally broke through to the US market, it was called ‘Beano.’ Primarily, it was a country game, where people had to mark their cards with beans. In 1934, even the churches decided to use the game as a tool to raise funds, as well as for charity. Today, the USA alone profits over $90 million solely from Bingo games. Quite amazing, isn’t it? Now that I’ve given you a brief history lesson, it’s high time to explain all the Bingo rules and whether this slow-paced game is the right fit for your personality. Seriously — It’s true that it lasts for quite some time (one round can take up to 15 minutes), but your losses won’t be that big, and your winnings should suffice. In addition to all of this, you’ll probably rest your mind while doing it — What’s there not to like?! Learning how to play Bingo is relatively easy, you’ve probably seen it on films a hundred times before. There’s a group of people in a hall marking down the numbers on their bingo cards. The card usually has five vertical and horizontal rows, with randomly selected numbers on it. In the middle, there is a field called ‘free space,’ and a player should stamp it with a dauber. A dauber is the tool Bingo players use to mark down the fields. The alternative to this is a Bingo chip that players use to put over the winning field. The word BINGO is stamped on top of each card in capital letters, and here’s why this is an important thing to remember. For example, if the number under the letter G is 13, it corresponds to the ball a caller might read out. If the ball is G13, it means you can dauber that field. To win the game of bingo, you need to have 5 consequent fields marked; horizontally, vertically, or diagonally. In addition, the caller won’t stop reading until at least one player has all the numbers called in the round. Most importantly, if you’re the lucky winner, you need to yell bingo immediately if you wish to win the prize. It’s as easy as that, and you still wonder why bingo halls are so often full? Naturally, with online casinos came online Bingo as well; or electronic Bingo, as the British like to call it. Essentially, the rules are the same, only that you get to play from the comfort of your couch. Just like you get to see so many roulette strategies, such as Martingale or the D’Alembert strategy, Bingo players have developed their own as well. The most popular one is probably the Tippet strategy. It is based upon the theory of randomness, and it changes depending on how long the round lasts — If it’s a short round, you should choose the numbers close to 1 and 99, but if it’s a longer round, try to select numbers nearer to 45. However, in reality, it doesn’t really work, as many people have attempted and testified to this fact, but this shouldn’t stop you from trying it for the sake of fun. Bingo could always use some more fun in it. Other than strategies, there are a couple of rules Bingo players must follow. Any Bingo player knows that by showing up first, they will have higher chances of getting the right card. Yes, the cards are randomly numbered; no, it doesn’t mean you should judge a person for having their own rituals. Bingo is a game of chance after all. Although, the players believe that if you show up once the game starts, it will not bring you good luck. It’s true. Just because somebody convinced us that only the elderly play Bingo, doesn’t necessarily make it true. This game can be very interesting and a great way to catch a break from the hectic casino atmosphere. The adrenaline rush is amazing, but sometimes, it can tire you out, and you will wish to rest instead of playing card games. So get your card and dauber out and earn some money while enjoying the relaxing atmosphere of a Bingo hall.